UltimatePlus Hospice understands how important it is to not only provide physical aid to our dying patients, but spiritual support as well. Patients and their families will never be able to truly accept their situations when certain answers still elude them; when they still continue to feel hopeless and lost. It is our goal to help our patients and their loved ones find peace during these incredibly trying times. We aim to meet their spiritual needs so that in time, they may learn to accept their situation for what it is, learn from it, and consequently move on with their lives. We provide guidance and offer advice on the many ways one can obtain spiritual help. 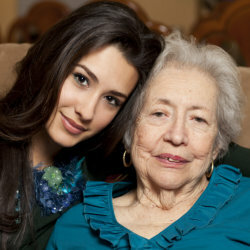 For more details on our spiritual support service, please call us at 214-427-8227. You may also send a message to info@ultimateplushospice.com.